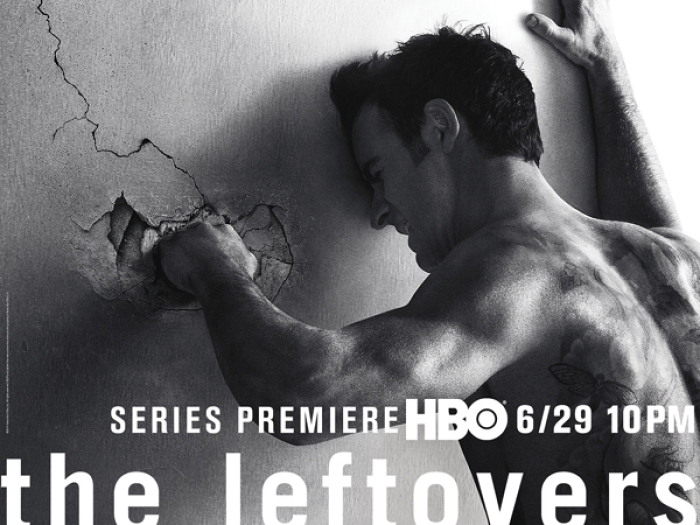 'The Leftovers': Should Christians Watch This Rapture-Inspired HBO Series? HBO premiered the new series "The Leftovers" last Sunday which examines the lives of humans left behind after a rapture-like event takes place, erasing two percent of Earth's population. Although the series seems to have taken cues from Tim LaHeye's and Jerry B. Jenkins "Left Behind" series for the stories premise, it is far from being explicitly Christian, or even spiritual at all. Instead, the writers, who use author Tom Perotta's novel of the same name as source material, choose to explore the psyche of those who witness family members, friends and co-workers disappear in an instant with no real explanation. At only one episode in, it is hard to ask for a redeeming message so early, but it's safe to say that HBO's intention with the series is not to lead people to salvation in Jesus Christ. The show also makes it clear that the rapture is only one of many possible reasons for why these people might have disappeared. It displays the debate between science buffs and religious leaders over the reasons for this event, but mostly focuses on the aftermath and how it affected those who are still on Earth. The series stars Justin Theroux, who plays a police chief in Mapleton N.Y. who lost his son after this rapture-like event, however, there's a great twist to that narrative that the writers should be commended for. Some of the people who stayed seemed to lose purpose, and others gained a more sinister one. Cults and various splinter groups have sprung up, including one gang that dresses in all white, chain smokes and that holds silent protests. This same clan is also responsible for taking his wife from him -- she now refuses to speak with or acknowledge her former family. This event has also taken a serious toll on the youth of America as their adolescent immorality seems to be at an all-time high. High schoolers engage in their usual rebellious activity, but at an intensity never seen before. Animals even act out as dogs are shown to no longer be man's best friend. Instead, they leave their homes and gather in wild packs reverting back to their "primal" state. This seems to be a strong theme in the series as even humans are shown sinking into deeper depravity as the story progresses. There's no telling where this series will go with the various themes introduced in the first episode, but it definitely gives viewers an accurate look at the direction the world could head in if the rapture took place as dispensationalists believe it will. Armageddon is the end game in the "Left Behind" series, and "The Leftovers" doesn't appear to be any different so far. The first episode featured some explicit language, strong sexual themes and realistic violence, which could turn off many Christians. However, nothing seems out of place here as it all fits within the narrative. People can be bad, and when disaster strikes things can get really ugly. "The Leftovers" does a great job at showing this in a way that is new and refreshing. If you're looking for a series that explores a familiar concept in an original way, this is it. However, Christians looking for a retelling of the rapture and God's plan for redemption will probably want to skip it.